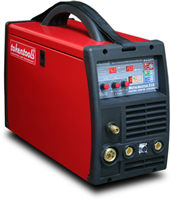 Buy the best inverter welders under $1000 at and rest easy knowing your inverter welding machine is backed by an industry leading 5 year parts and labour warranty. You want to save money, we have the best inverter welders. You can benefit from our expertise in weldeing equipment. There are many welding machines you can benefit from starting less than $1000 including tig welders, plasma cutters and mig welders. Call us on 1300 881 991 today and talk to our knowledgeable staff.